Why do rebels kill each other? When confronting a formidable regime, rebels often descend into warring factionalism rather than forge unity across their ranks to reap the advantages of cooperation. This article tackles the puzzle of inter-rebel fratricide. It explores power and resource competition arguments, and contrasts them with ideological mechanisms that can drive inter-rebel violence. It argues that ideological extremity is central to rebel fratricide. Rebel organizations with common ideological origins can still compete with each other based on their degree of centrism and extremism, making them ideologically distant. This proximity-distance paradox makes their cohabitation mutually threatening. Ideological challengers from the same family tree are particularly threatening to one’s group cohesion, and if successful, guarantee one’s political marginalization within the broader movement. Extremist groups are likely to respond to these threats with fratricide, while ideologically centrist ones will rely on other strategies such as balancing, outbidding, or defecting to manage their rivalries. Algeria’s civil war, 1992–2002, is a plausibility probe case study that illustrates these causal mechanisms. 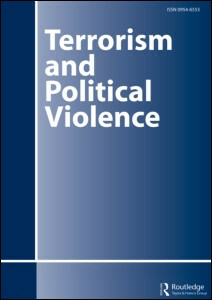 The study contributes to a burgeoning literature on the role of ideology in armed civil conflicts.